A new IEA report says it was a record year for EV sales last year, but the overall market is still small. The number of electric cars sold worldwide hit a record level of 750,000 last year, bringing the total number of electric vehicles driving on roads around the globe to 2 million, according to a new report out from the International Energy Agency (IEA). The report crunched information on electric cars from countries that have the biggest markets, including China, the U.S., Norway and the Netherlands. While 2 million is a notable milestone for the industry, the figure still only represents 0.2 percent of the total number of light-duty passenger vehicles in operation. Needless to say, the electric-car market is still in an early stage. However, IEA projects that there’s a good chance that the number of electric cars on the roads will grow to between 9 million and 20 million by 2020, and potentially between 40 million and 70 million by 2025. The wide ranges are based on different scenarios using both current policies and some more possible aggressive policies that could be implemented by governments. The number of new electric-vehicle models available will also play a role. 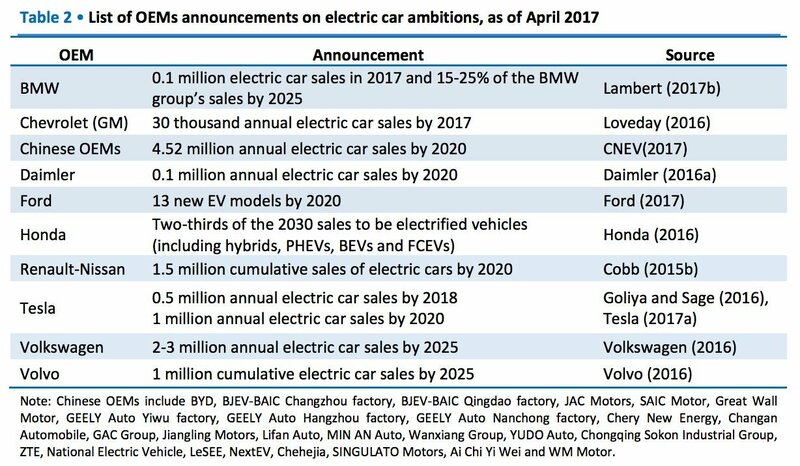 The biggest market by far for electric cars last year was China. With 336,000 cars sold, the country accounted for more than 40 percent of global sales, the report found. 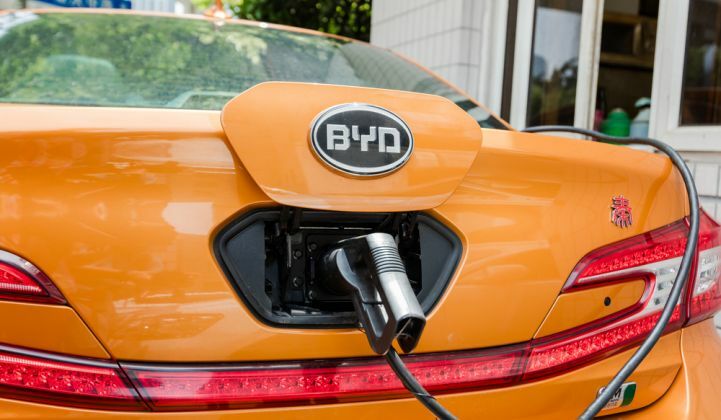 Chinese automaker BYD, with its Tang, Qin and E6 models, shipped about a third of those cars to Chinese buyers last year, according to a Bloomberg New Energy Finance report that was released in March. Thanks to very aggressive policies from Chinese federal and local governments, the country has gone from 100,000 electric cars on roads in 2014 to 650,000 just two years later. Chinese electric-car buyers can be exempted from certain taxes, and can get waivers from license plate restrictions. China’s electric car vehicles sales were more than double the number sold in the U.S. market, which totaled 160,000 and was the second-largest by country. At the same time, European countries collectively sold 215,000 electric cars last year, with countries like Norway, the Netherlands, Sweden, France and the U.K. leading the way. While these European countries might each make up a relatively small amount of overall global sales, the percentage of electric car buyers in these countries is impressive given their smaller populations. Almost a third, or 29 percent, of Norway drivers have an electric car, which the report calls “the most successful deployment of electric cars in terms of market share, globally.” In Norway, electric-car owners are exempt from certain taxes and can get waivers for certain tolls and ferries. Likewise, 6.4 percent of the population of the Netherlands and 3.4 percent of Sweden have electric cars. Given the early stage of the electric car market, the industry is highly fragmented. 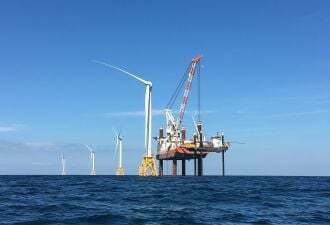 The Bloomberg New Energy Finance report found that BYD held 15 percent of world market share, while Tesla held 11 percent. The top electric-car models only held 19 percent of the total world market, while other less popular models made up the rest. Government policies and the dropping cost of batteries have been the biggest contributing factors to sales. 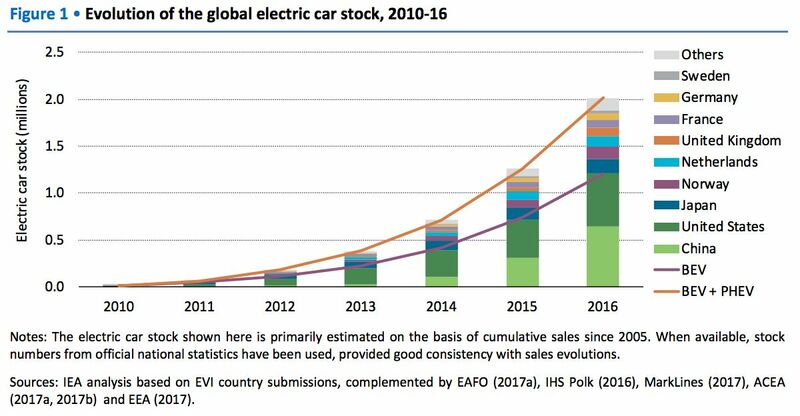 It will take another decade, or even two decades, to reach more of a mass-market adoption of electric cars globally, the report said. However, certain countries with vibrant electric-car markets could reach mass adoption much sooner, and these regions can be case studies for the rest of the world.